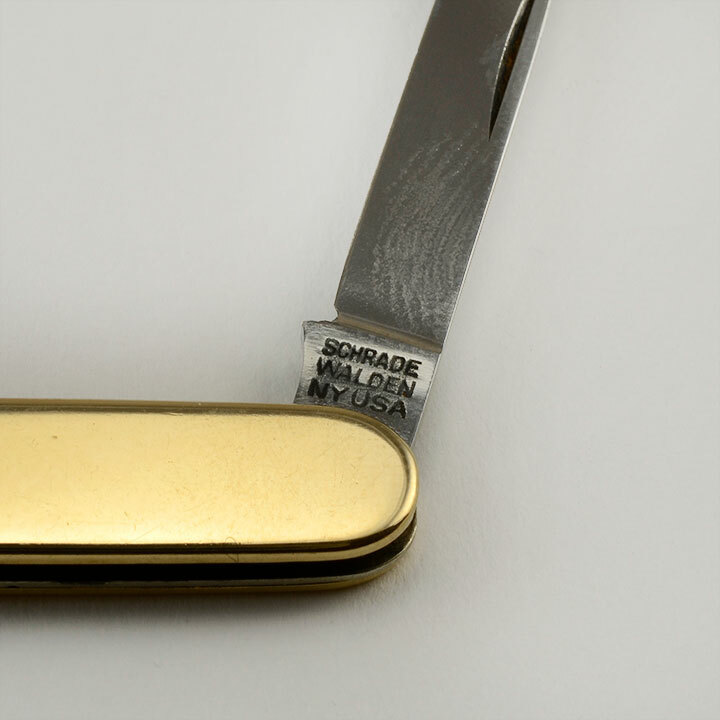 Vintage Schrade Walden NY monogrammed pocket knife, circa 1960. 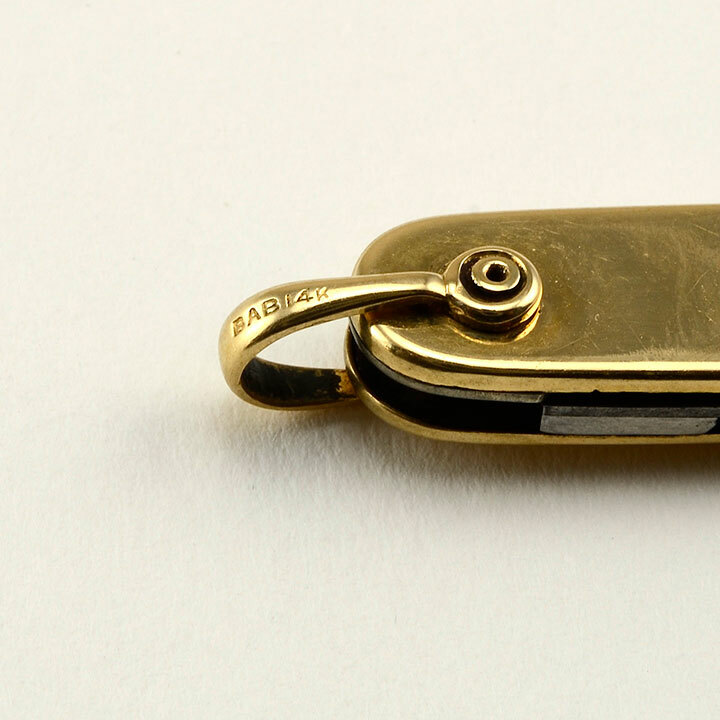 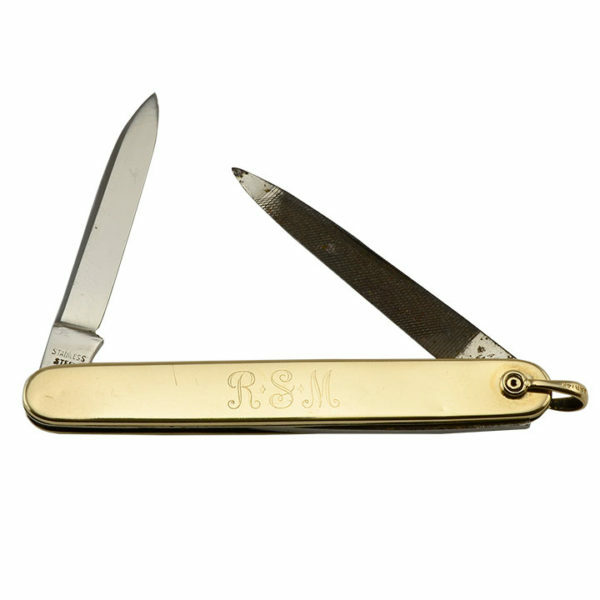 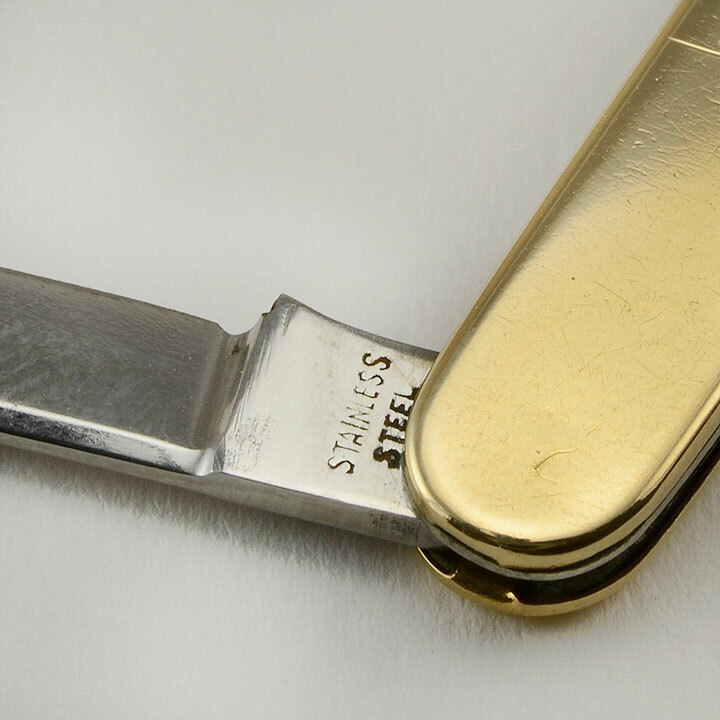 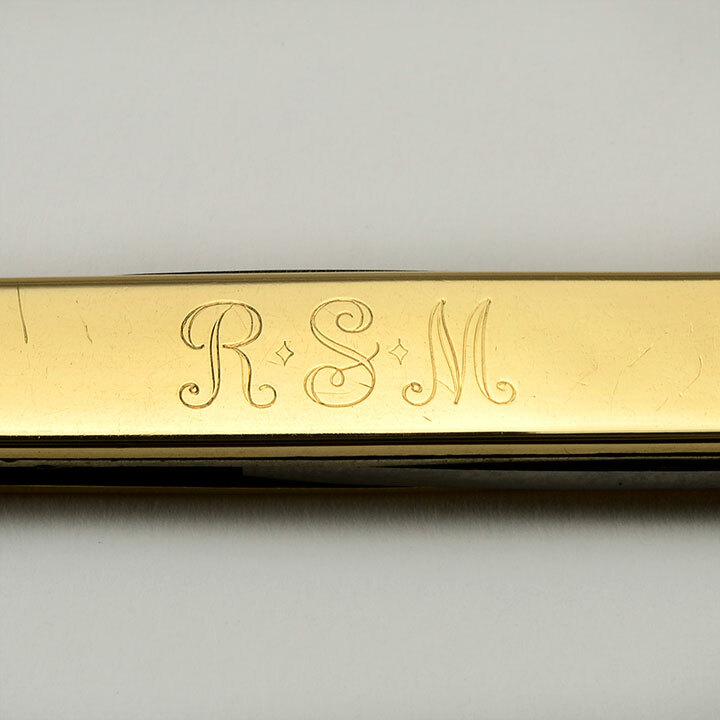 This 14 karat yellow gold pocket knife has stainless steel blades and is monogrammed “RSM”. 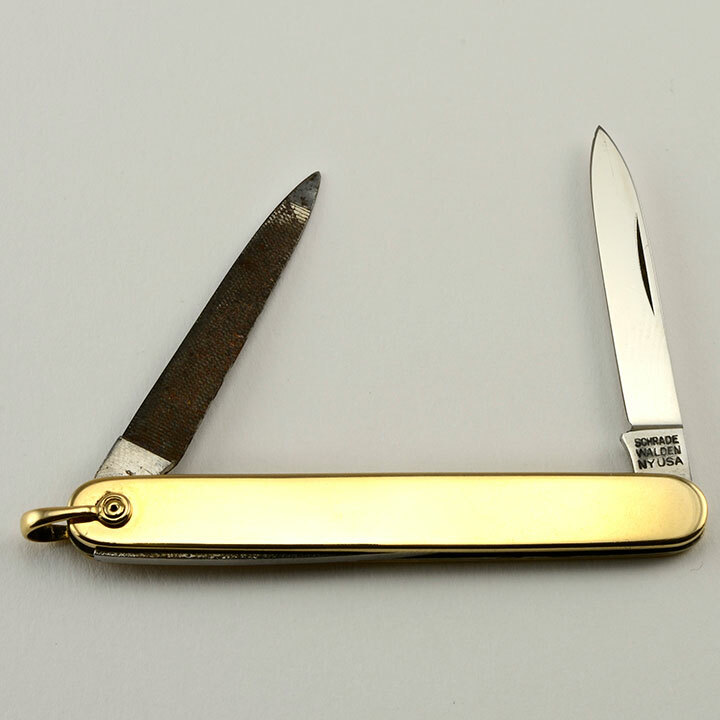 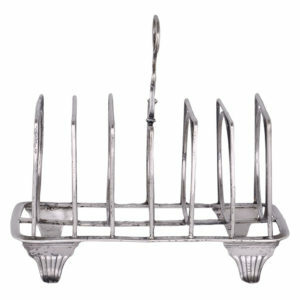 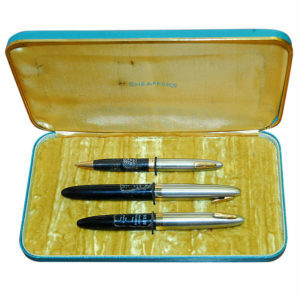 The vintage pocket knife is appraised at $796.